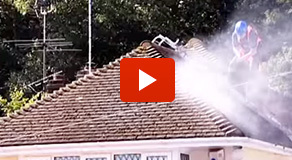 Moss and lichens (such as algae) can be extremely damaging to all roofs if left untreated. As they absorb huge amounts of moisture from rain and other precipitation, the extra weight puts a strain on the structural integrity of your roof, and, as the water freezes, it can expand and damage tiles. 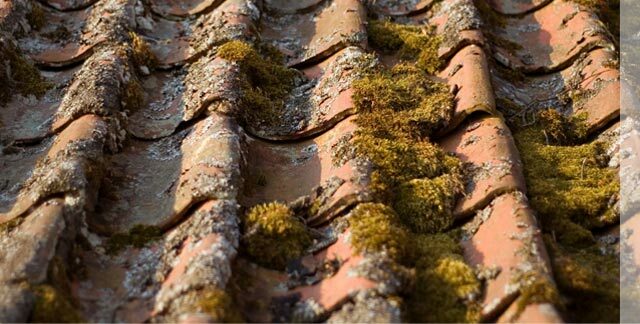 Restore A Roof are specialists in all areas of roof moss removal, and offer a comprehensive moss cleaning service throughout the UK. Our expert professionals are fully equipped to remove moss from all domestic and commercial roofs and guttering systems, and apply an anti-fungicidal wash to prevent the return of any unwanted and destructive plants. From our Derbyshire base, we are ideally placed to offer our roof moss removal service nationwide, so get in touch today for more information, or for a full quote.